QinetiQ has opened a new centre of excellence for the development and testing of advanced laser technology at its headquarters in Farnborough, UK. The centre will be the home for the UK's Laser Directed Energy Weapon, currently in development by the Dragonfire consortium. The new facility, named Dragonworks, will serve as a test bed for all technologies associated with high-energy lasers for military or commercial applications. It includes a “clean-room” to enable work with sensitive optical equipment to be conducted away from contaminants, and the UK’s only Reflective Hazard Assessment Tool (RHAT), designed to examine how laser energy is reflected from different surfaces. Further additions will create an environment in which customers can conduct full-scale testing of high-energy lasers. Led by MBDA, under contract to the Defence Science and Technology Laboratory (Dstl), UK Dragonfire is a grouping of the best of British industry brought together to develop this advanced and complex new programme for the UK’s Armed Forces. The Dragonfire consortium brings together QinetiQ’s powerful laser emitter, as well as electro-optics for target identification and tracking. MBDA is bringing prime weapon-system delivery experience and advanced weapon system command and control (C2) and image processing capability to UK Dragonfire, in addition to co-ordinating the overall effort. The first project to be undertaken at Dragonworks will be the assembly and testing of the laser directed energy weapon (LDEW) currently in development by the UK’s Dragonfire consortium, led by MBDA. Components will arrive in early 2018, when QinetiQ will begin building the weapon’s laser source in the purpose-built clean room. 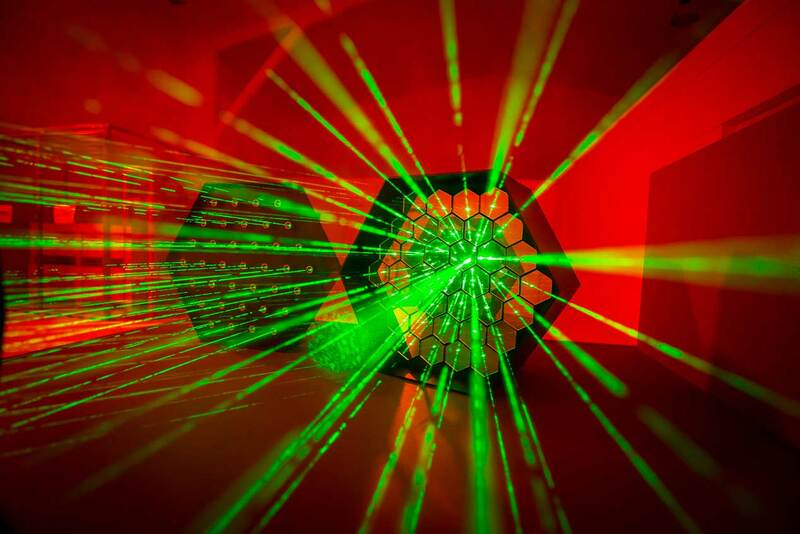 Over the following months, the laser source will undergo a process of evaluation and adjustment before being integrated with Leonardo’s beam director. The project will culminate in operation at full-power under test conditions inside the facility in summer 2018, before it is transported to MoD Shoeburyness for long-range outdoor trials later in the year. Data collected will inform the safety case for these and future trials, ensuring the reflectivity of targets is fully understood and any risk mitigated accordingly.